Go getter! Driven entrepreneur With me the light is always on! I have a burning desire to create and succeed no matter how challenging the project may be. I visualize my future by setting goals. I love to create and help others, it is my passion! We are a start up looking for investors, if you are an investor give us a chance and we will make the most of it! We have a burning desire to succeed just need capital to get there. having the patience to build an idea into something real. Maintaining your vision and focus on what you are setting out to do. Watching your ideas grow into something bigger than you dreamed. Loss of focus and drive. People give up and do not get back on thier feet. No matter how many times you fall, NEVER GIVE UP! Patience, drive, determination with burning desire to create your dream and succeed will put you on top! Hard work yes, worth it absolutely! It cost more than you plan, it is long hard work with many ups and downs, and their are more ideas out there that you go after than you think. Who wants to GO FOR IT with me and make a fortune?!!! One of my goals is to continuely provide Deveolpers new tools to assist in their everyday Sales and Marketing operations and I am proud to say that we are doing it with the help of stratigic partnerships and alliances. One of my favorite marketing tools available is networking, I believe in who you know and working together to achieve the same goal and that is what we have done and continues to do everyday. Sometimes we need to think outside the box and look for resources that have never been tapped into and that's what makes all the difference, thats what makes you unique, leaving no stones unturned, finding a diamond in in the ruff, deveoping new resources, creating a product and that's what we thrive to achieve. We are open to explore all possibilities and find new opportunities to fuse our business with others to create a new Market. 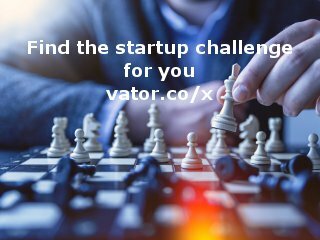 If vator.tv can help us achieve that with its unlimmited resource pool of professionals that are also looking to achieve the same goals the possibilities are countless. Developing new business by analyzing account potential; initiating, developing, and closing sales; recommending new applications and sales strategies. Building market position by locating, developing, defining, negotiating, and closing business relationships is what I have been known for. I am a go getter, I get things done! I have devoted my whole professional life to Sales,Marketing and Development for Resorts,Travel Clubs,Vacation Ownership and its members. I strive to create new and exciting opportunities I DO THINK OUTSIDE THE BOX! I create new ventures and opportunites by being open mined listening and seaching for ways we can improve our lives and the World. I am an idealist with a light that is always on! My goals are BIG and my mind and drive will not quit ever even when I reach a high level of success because my goals just keep getting bigger. I look forward to working with people I connect with on vator.tv, building great relationships and partnerships that will change the World. My vision is clear and I am excited to get there! BELIEVE IT, SEE IT, ACHIEVE IT ! Shawn is now connected to Jack Porter. Shawn is now connected to Don Steiny. Shawn is now connected to James Robinson. Shawn commented on Bambi's update for Vator, Inc.